A world record is usually the best global performance ever recorded and verified in a specific skill or sport. 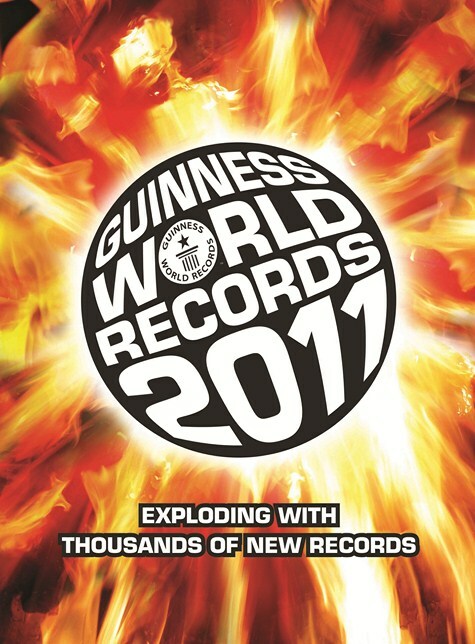 The book Guinness World Records collates and publishes notable records of all types, from first and best to worst human achievements, to extremes in the natural world and beyond. 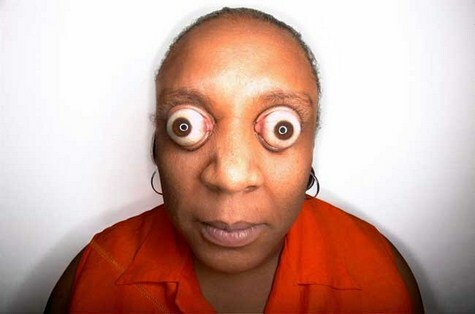 Anyway, we love to push our limits as much as we can - It’s human nature that differs from person to person. 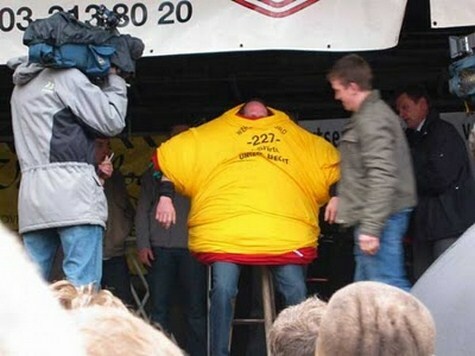 The fastest time to enter a zipped suitcase is 5.43 seconds achieved by Leslie Tipton (USA) on 14 September 2009 in New York, USA on the LIVE! 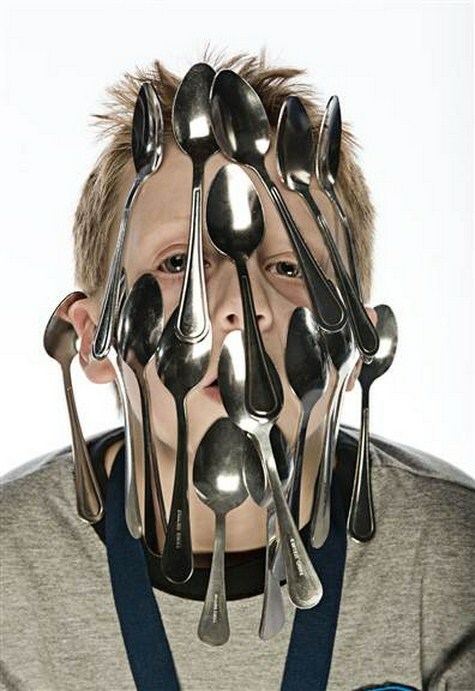 with Regis & Kelly show. 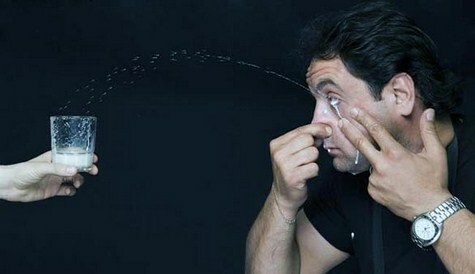 The longest duration to maintain a Marinelli bend is 50 seconds and was achieved by Iona Oyungerel Luvsandorj (Mongolia) on the set of Lo Show Dei Record, in Milan, Italy, on 18 April 2009. 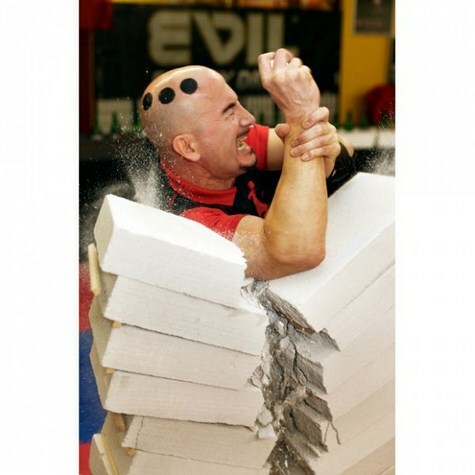 Joe Alexander of Germany broke 24 concrete blocks that were arranged in three stacks of 8 all while holding a raw egg in the hand he used to deliver the blows. 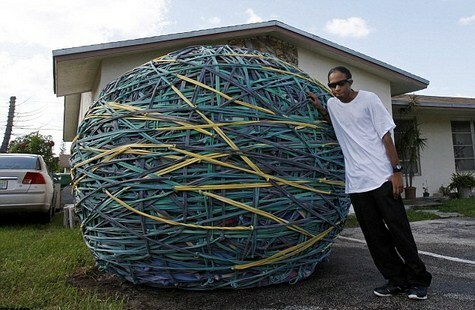 Made up of over 700,000 rubber bands this record breaker was assembled in the driveway of Joel Waul in Lauderhill Florida. 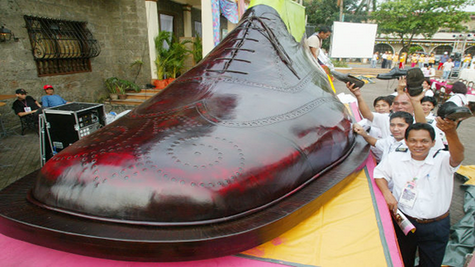 It is now owned by Ripley’s Believe it or not. Weighing in at 164.8 pounds you can find this monstrosity at Mallie’s Sports Grill & Bar in Southgate, Michigan for a hefty $400. 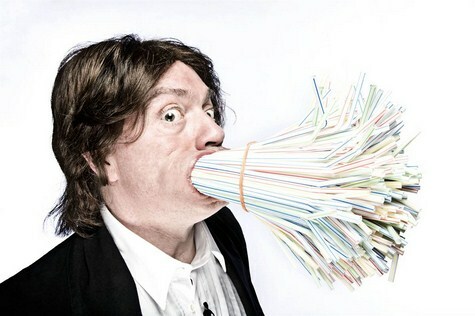 Simon Elmore of Germany broke this record in 2009 by holding 400 straws in his mouth for 10 seconds. 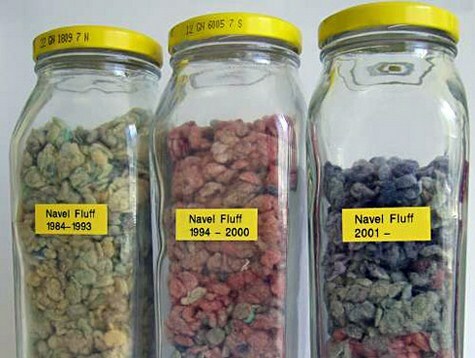 A librarian in Australia recently broke this record with 22.1 gram collection of fluff that he has been collecting for the past 26 years. 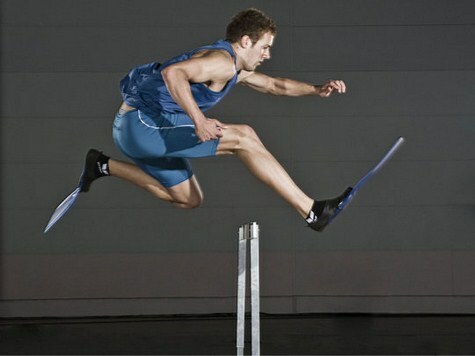 Fastest 100 metre hurdles wearing swim fins is 14.82 seconds and was achieved by a German named Christopher Irmscher in Cologne, Germany, on 13 September 2008. 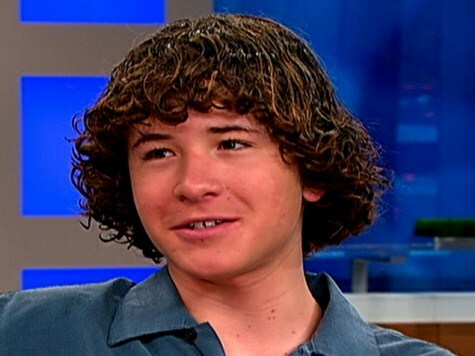 13 year old Jordan Romero from California instantly became the coolest kid in school when he broke the previous record of 16 years held by Temba Tsheri of Nepal. He made the climb with his father and several local Sherpas. 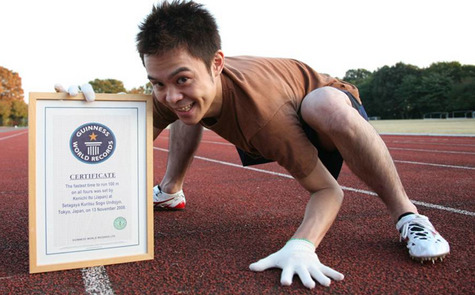 For 96 hours straight (4 days) Norman Perez of California sat at his computer typing to set the first record in this category. 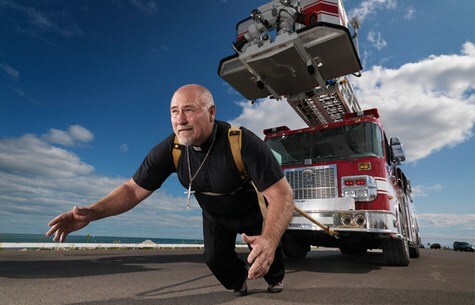 As per Guinness Book of World Records rules he was allowed a 5 minute break every hour. 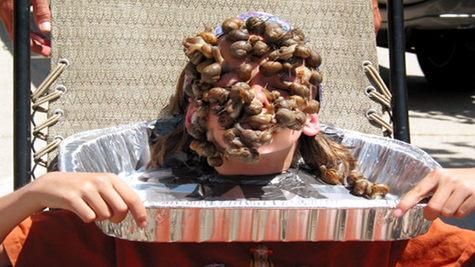 In 2007 Fin Kehler had 43 snails put on his face for a total of 10 seconds to break the previous record of 36. 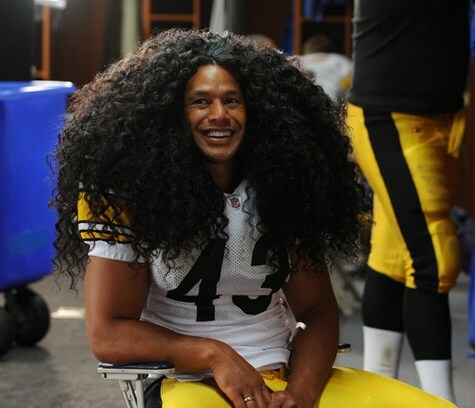 Pittsburg Steelers Safety Troy Polamalu who is also a spokesperson for Head and Shoulders recently had his hair insured for a mindblowing $1 million. 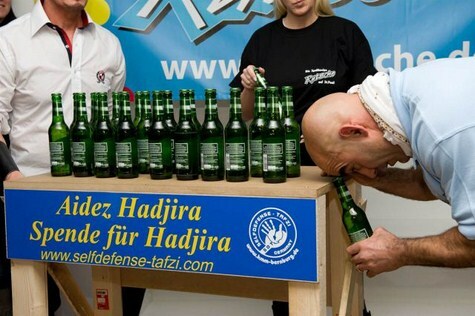 Zdenek Zahradka of the Czech Republic survived 10 days buried in a coffin underground with no food or water and only a breathing pipe connecting him to the outside world. The previous record was 4 days. 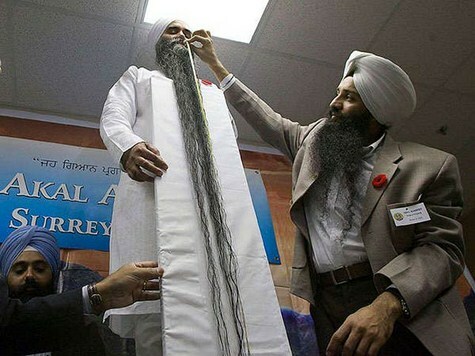 Sultan Kosen of Turkey towers at 8 feet 1 inch due to a tumor affecting his pituitary gland. 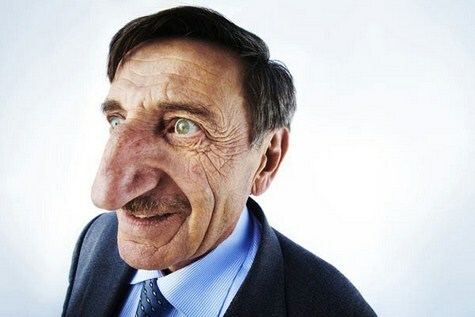 As a result of several recent operations at the University of Virginia his growth has been stabilized. 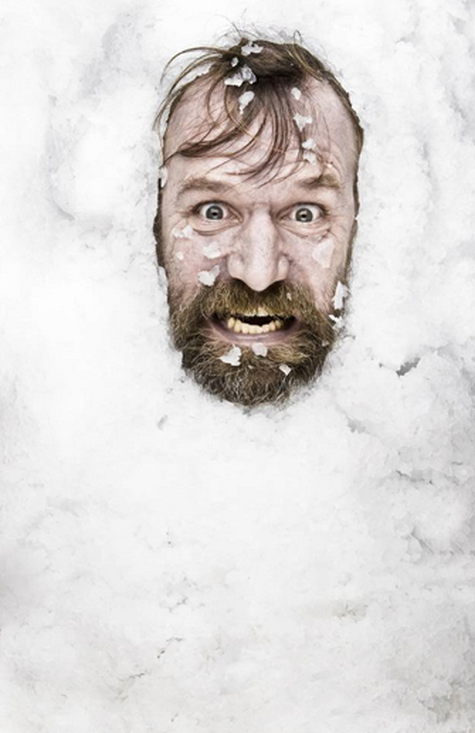 Wim Hoff of the Netherland has come to be known as the Iceman as a result of his insane ability to withstand cold temperatures for extended periods of time. On January 23, 2009 he remained submerged in ice for 1 hour 42 minutes and 22 seconds to set a decisive record in the cold exposure category. 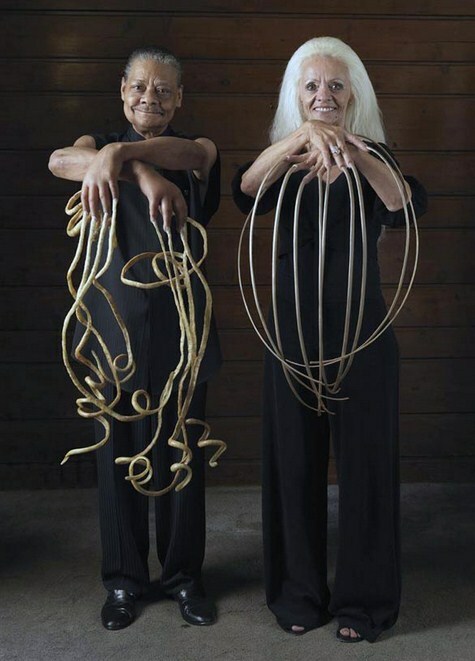 Because of a rare disorder known as Ehlers-Danlos Syndrome, Garry Turner of the United Kingdom can stretch his skin up to 6.25 inches.